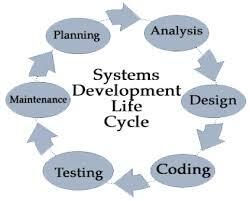 SDLC is an abbreviation of Software Development Life Cycle. SDLC is series of steps that offers a defined model for the development and lifecycle management of an application. 4) States the importance of Design phase? The requirements is specified in the form of a document. It is then converted into a logical structure which needs to be implemented in a specific programming language. The design phase is also helpful for specifying hardware & system requirements. It also allows defining complete system architecture. The output is designed to document that acts as an input for all the subsequent SDLC phases. 5) What are the tasks performed in Coding phase? In the coding phase, the design document is converted into an executable programming language. The output of the coding stage is the source code which can act as input for testing and maintenance phase. 6) What is feasibility study? Feasibility allows assessing how viable software project development will be for any organization. The software analyst does the complete study to understand the operational, economic, and technical feasibility of any project. 7) What are the Maturity levels in CMM? Capability Maturity Model is a benchmark for analyzing the maturity of an organization’s software development process. It is a technique which is used to refine a company’s software development process. It is using to assess any company against a scale of five different levels of levels based on their Key Process Areas. It tells about the maturity of the company based on the project the company is dealing with and the clients. Initial, Managed, Defined, Quantitatively Managed and Optimizing are five levels which determine CMM levels of any company. 8) Give some benefits of using V model? 9) What is the 'scope' of a project? The scope of the project is nothing but, the goals, objectives, and expectations of the project. Software scope is a well-defined boundary, which includes all the process which are performed to develop and deliver the software product. The software scope consists of all functionalities and artifacts to be delivered to the software system. The software scope also helps to identifies what the system will do and what it will not do. 10) According to you, when should users be trained on a new system? 11) Name the phase where the performance of the new system monitored? During the Evolution and Maintenance phase, the system is continuously monitored. 12) What is a computer-based information system? It is a system in which computers perform some procedures. In Low-Level Design, High-Level Design is broken down into modules and programs. Logic design is developed for every program, and it will be documented as program specifications. 14) What is the use of JAD session? 15) State the Difference Between SDLC And STLC? SDLC involves the complete Verification and Validation of a Project. SDLC stage requires business requirement analysis, design, Development Process, Testing Process, and Maintenance. Whereas STLC involves only Validation. 17) What is level-0 DFD? Highest abstraction level is called Level 0 DFD (Data Flow Diagram). It is also is known as context level DFD. It gives specifications about the entire information system as one diagram which has all the details about the system. Requirement Gathering is an important SDLC phase. In this stage business requirements are gathered. The schedule and cost of the project also analyse in this phase. Different testing methodologies are practiced detecting the software bugs, which happen to take birth during the previous phases. Today, there are many types o testing tools, and methodologies are available. Few firs are also building their testing tools, which are custom made as per the need or their organizations. 20) What are problems faced in the waterfall model? 21) What is the details study of the existing system is called? 22) What is the main aim of prototyping aim? 23) In which step of SDLC project early termination could be done? In the SDLC process, project termination can be performed in the feasibility study phase. 24) According to you which is most creative and challenging phase of system life cycle? The design is one of the most challenging phases of the SDLC lifecycle. 25) Name the type of feasibility where the cost saving and additional profits will exceed the investment required. 26) Can bug fixes also include software maintenance? 27) Cost of error correction is least in which stage of SDCL life cycle? Cost of error correction is very less at the early stage of requirement analysis.